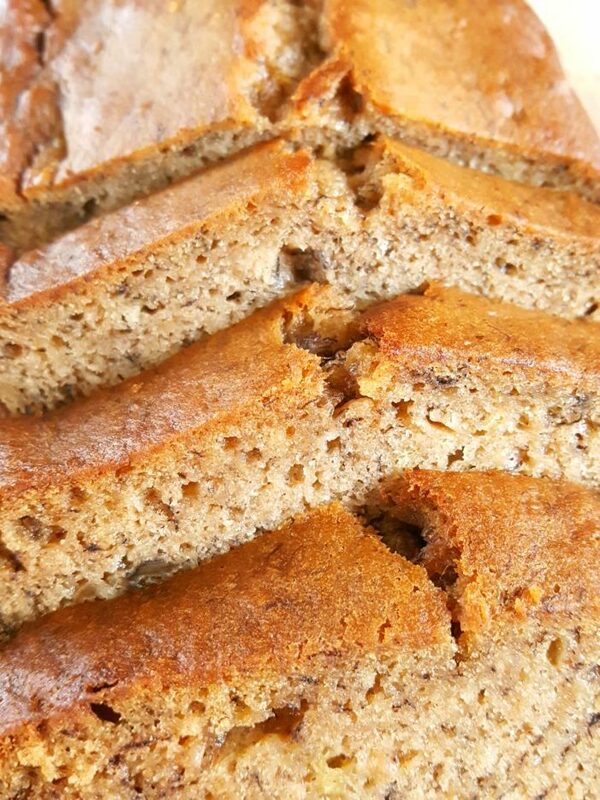 This quick and easy banana bread recipe made with 4 bananas and oil is moist and delicious. Only one bowl required, no mixer needed and less than 10 minutes prep! This is one of the best ways to use overripe bananas. 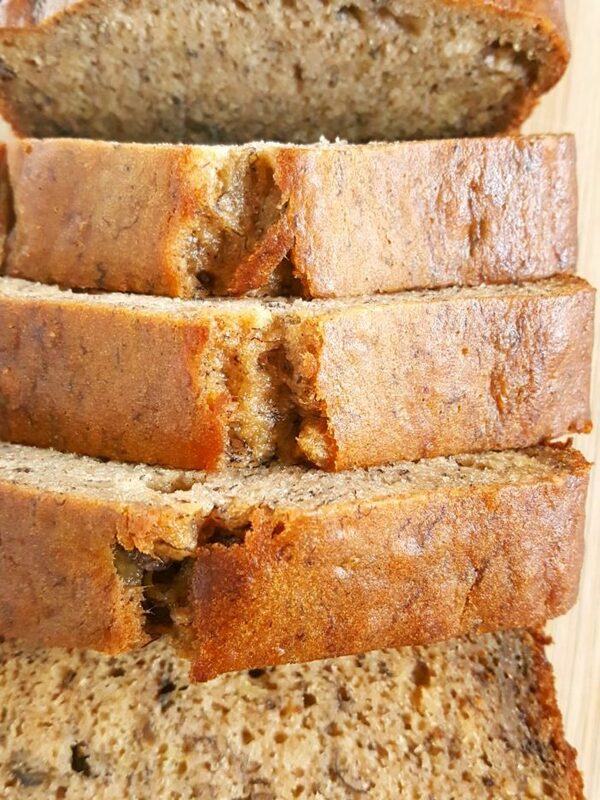 This banana bread recipe for 4 bananas is a simple one with few ingredients, very easy to make, and beginner-friendly. 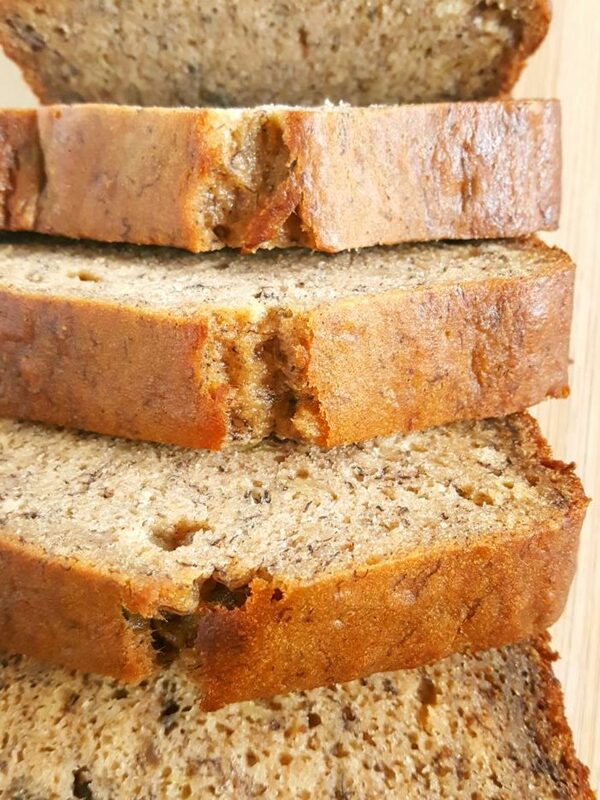 Because of all that ripe goodness this loaf is packed with so much flavor; so much so that I like to call it banana banana bread. And that’s why even though this recipe is completely dairy-free you won’t even be able to tell! How do you make banana bread moist? You do so by using lots of ripe bananas and oil or butter. I prefer banana bread with oil. This is a banana bread recipe without nuts because I hate nuts in baked goods! Yuck. But feel free to add them if that’s your thing. The amount of sugar in this recipe is perfect in my opinion because it gets plenty of its sweetness from all the bananas, but if you prefer it more on the sweeter side increase the sugar to 3/4 cup. There’s no butter and no milk, but you won’t miss either of them. There’s just a touch of cinnamon. You can add more or omit it completely depending on your personal preference. I absolutely love cinnamon so it’s never an option for me to leave it out. 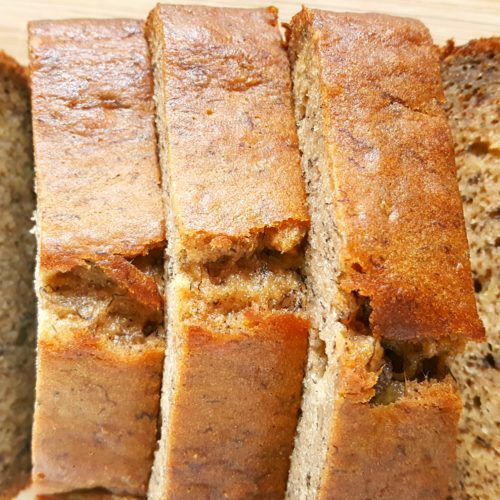 This recipe actually yields a tender and moist banana bread because compared to other recipes this one has more wet ingredients that don’t include milk or water which stretches the batter thin and there’s also less flour. Just by looking at the ingredients you know that this is a banana bread recipe that is moist. If you didn’t already know how to make banana bread at home, it’s quite easy! 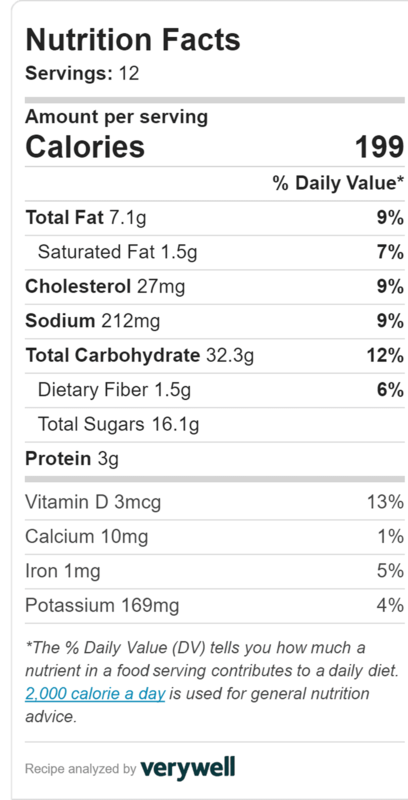 In a large bowl combine bananas, sugar, cinnamon, and salt. Beat in the oil, eggs, and vanilla extract. Add the flour and baking soda and gently mix until incorporated. Bake for 30 minutes, remove from the oven and cover loosely with foil, then continue to bake for 20 – 25 minutes until a toothpick inserted comes out clean. Cool in pan 15 minutes then remove to cool completely. Why is it necessary to cover the bread with foil? You’ll notice that in the instructions it says to cover the loaf loosely with foil. This is because the crust for this bread gets very dark very quickly. Loosely covering it with foil at the 30 minute mark ensures that the crust doesn’t burn. Often times I find that when you don’t use the foil the crust will be dark brown way before the bread is done baking therefore naturally causing you to pull the bread out of the oven before it’s done. And then you usually end up with a crust that’s fully baked or burnt and a middle that is mostly raw. Fortunately, this ‘foil trick’ is a quick and easy solution. 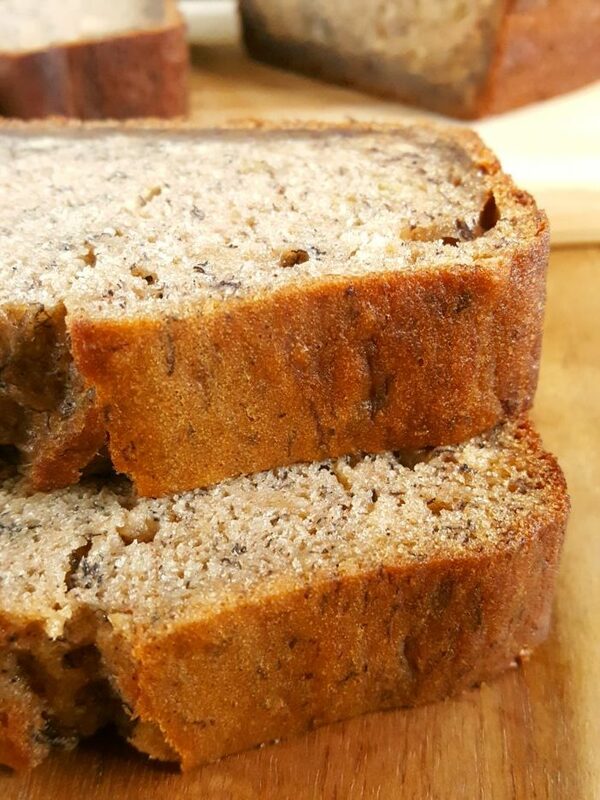 The best bananas for banana bread are overripe bananas that are speckled and half black or dark brown. Besides the salt, vanilla, and spices, bananas are the main contributor of flavor in a banana loaf. So if you want your loaf to come out great every time, use overripe bananas. Ripening bananas in the oven – Place the unpeeled bananas spaced apart on a baking sheet lined with foil or parchment paper and bake at 350 degrees F for 15 – 20 minutes until black or dark brown on the outside and soft to the touch. Allow them to cool before using. Ripening bananas in the microwave – Using a fork, poke straight through the banana peel multiple times on all sides to allow the heat to easily penetrate then microwave for 30 seconds at a time, checking each time for doneness. This can take up to a couple of minutes depending on how green the bananas were to begin with. The bananas are done when they have the soft texture of a ripe banana. Cool before using. Ripening bananas in a paper bag – Place the bananas in a loosely closed paper bag to help trap the ethylene gas (that is responsible for ripening) to help speed up the process. Check the bag once a day and remove the bananas when they have reached your desired ripeness. These methods aren’t just useful for this recipe, they’re also useful for all the other ripe banana recipes that you’ll try. Store it in an airtight container, food-safe resealable bag, cover with foil, or wrap tightly in plastic wrap to prevent it from drying out. How long does banana bread last? If stored correctly it should last for 2 – 3 days at room temperature and up to 1 week in the fridge. Wrap tightly in foil, plastic wrap or place in a freezer bag. You can also wrap tightly and place in a freezer bag for maximum protection. How long does banana bread last in the freezer? 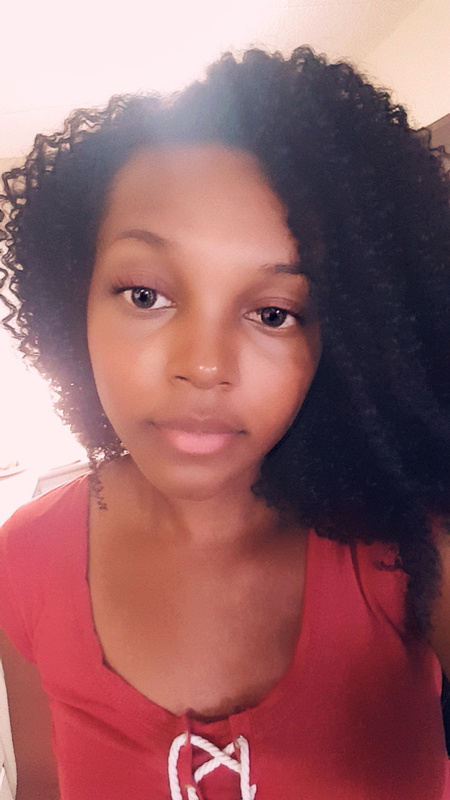 For about 2 months. For those times when you only have 2 bananas try my 2 banana bread recipe and my 3 banana bread recipe for when you have 3 bananas! Both are also no mixer banana bread recipes just like this one! You can find the nutrition facts for this loaf at the very bottom of the recipe. Preheat oven to 350°F. Spray a 9x5 inch bread pan with non-stick cooking spray, grease with oil or line with parchment paper and set aside. Add the flour and baking soda and gently mix until incorporated. DO NOT over mix. Bake for 30 minutes, remove from the oven and cover loosely with foil, then continue to bake for 20 – 25 minutes until a toothpick inserted in the center comes out clean. *This method prevents the crust from burning.